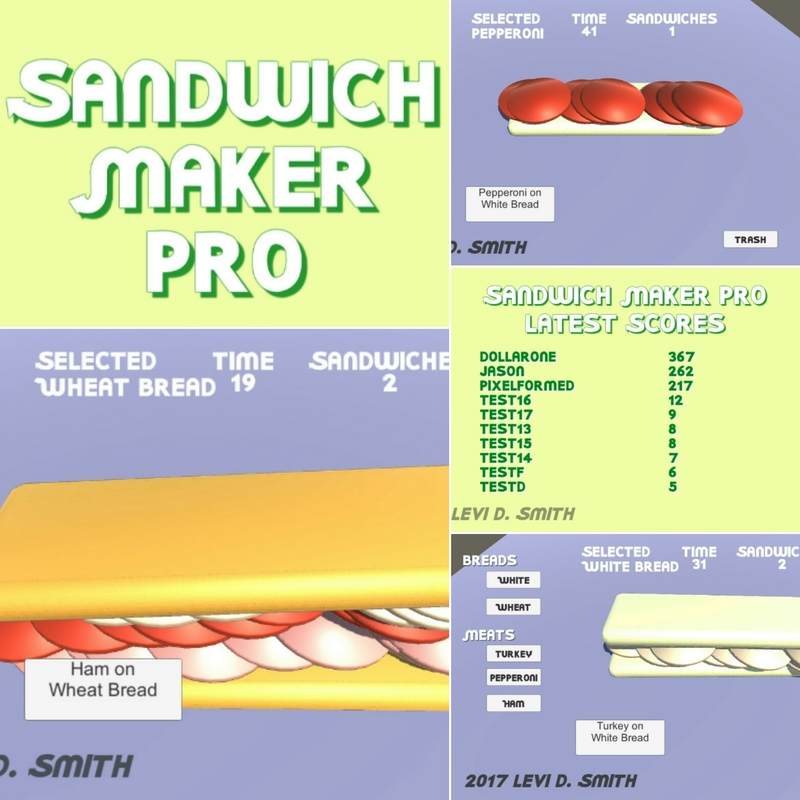 Create the sandwich displayed on the request on the right side of the screen. Choose an ingredient, such as bread, meat, or toppings on the left side of the screen. With an ingredient selected, click on the table to use that ingredient. 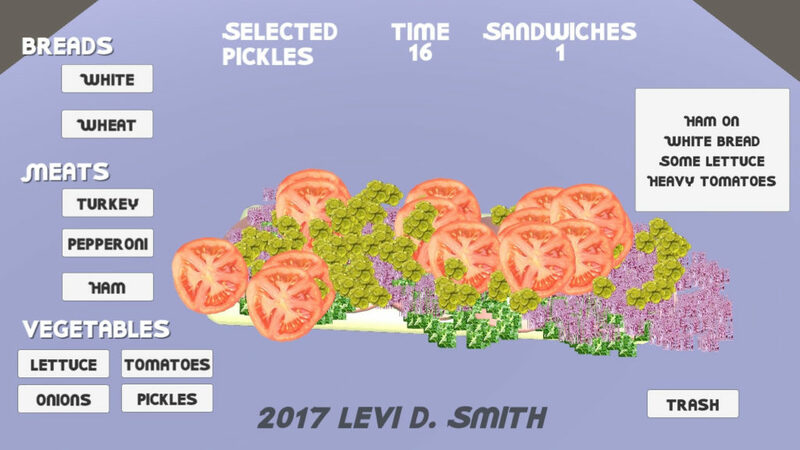 When finished making the sandwich, press the request button of the sandwich that you’ve created. 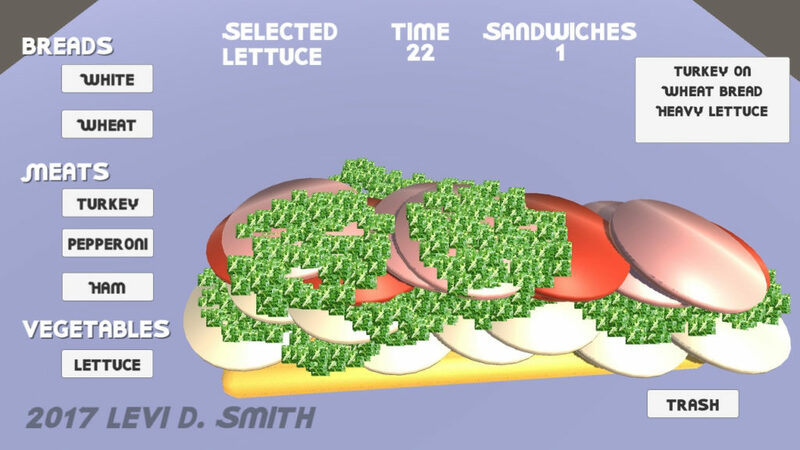 If you made the sandwich correctly, it will add one to your score and a new request will appear. Otherwise, you can continue to add to your existing sandwich. Press the trash button to start over from scratch. Make as many sandwiches as possible in sixty seconds.